A new Government report paints a sobering image of mental health in New Zealand, with the Mental Health Act described as "outdated and inadequate". The Government publicly released the inquiry report in full on Tuesday, less than a week after receiving it. 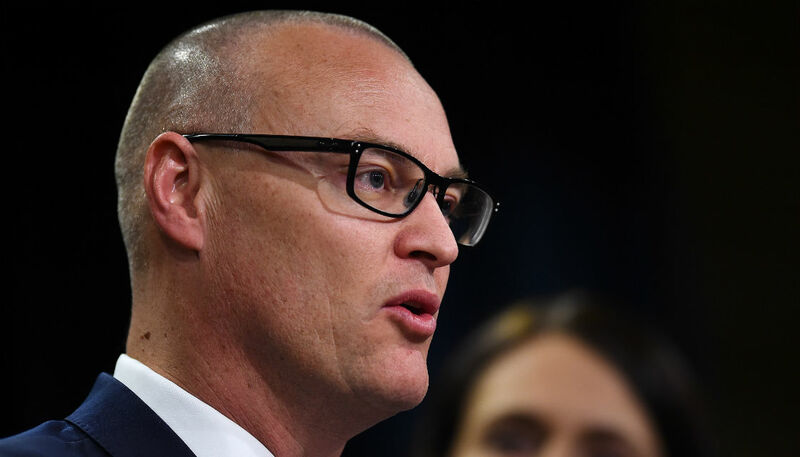 It comes after a ministerial inquiry into mental health was announced by Health Minister David Clark in January. The inquiry has found that the annual cost of serious mental illness, including addiction, is an estimated $12 billion. The estimated reduction in life expectancy of people with severe mental health or addiction challenges is 25 years. "The inquiry heard many stories of people who did not get the help they needed and deserved. We must listen to these voices of people with lived experience," said Dr Clark on Tuesday. "It is clear we need to do more to support people as they deal with these issues - and do a lot more to intervene earlier and support wellbeing in our communities." New Zealand's mental health system is set up to respond to people with a diagnosed mental illness, but doesn't respond well to other people who are seriously distressed, the report says. Even when the system responds to people with a mental illness, it does so through "too narrow a lens", it says. People may be offered medication, but not other appropriate support and therapies to recover. New Zealand's Mental Health Act is described as "inadequate" in the report, adding that's it's "particularly problematic and outdated in its approach". The Government plans to repeal and replace the Act so that it "reflects a human rights approach, promotes supported decision-making, aligns with the recovery and wellbeing model of mental health, and provides measures to minimise compulsory or coercive treatment". The Mental Health Act was enacted more than 20 years ago and has never been comprehensively reviewed. The denial of the right to refuse medication under the Mental Health Act is particularly problematic when significant side effects are known, the report says. The Government also plans to establish an independent commission: The Mental Health and Wellbeing Commission, which will provide "leadership and oversight of mental health and addiction in New Zealand". The commission will be directed to "regularly report publicly on implementation of the Government's response to the inquiry's recommendations, with the first report released one year after the Government's response". The Greens have welcomed the mental health report, with the coalition partner's spokesperson on mental health and drug law reform, Chloe Swarbrick, hailing it a "watershed moment for the mental health crisis in Aotearoa New Zealand". The Greens' mental health portfolio was shifted in September from Julie Anne Genter, Associate Minister for Health, to Ms Swarbrick, who has no ministerial portfolios. That meant the Greens could lobby the Government more effectively on promises made to them in the confidence and supply agreement, instead of taking the diplomatic approach of a minister inside the Government. "Now we have a comprehensive blueprint to solve a crisis that is costing lives and hurting New Zealanders," said Ms Swarbrick. "The report recommends removing criminal sanctions for personal drug use and for addiction to be treated as a health issue instead, with therapeutic treatment at the core." This has indeed been addressed in the report, with the Government proposing decriminalising possession for personal drug use, and removing prison sentences for low-level drug dealing. The Government has proposed a stricter regulatory approach to the sale and supply of alcohol - informed by the recommendations from the 2010 Law Commission review, the 2014 Ministerial Forum on Alcohol Advertising and Sponsorship and the 2014 Ministry of Justice report on alcohol pricing. "Addiction to alcohol and other drugs is causing widespread harm in New Zealand communities. A heavy drinking culture harms health and wellbeing," the report says. "Harmful use of alcohol and other drugs is significantly implicated in crime - around 60 percent of community-based offenders have an identified alcohol or other drug problem and 87 percent of prisoners have experienced an alcohol or other drug problem over their lifetime." New Zealand data shows that more than half of youth suicides involve alcohol or illicit drug exposure. Many people described the high rate of youth suicide in New Zealand as a national shame and said that the number one priority should be to prevent so many young people from taking their own lives. "We heard heart-breaking accounts from family and whanau who had undergone the trauma of losing loved ones to suicide, sometimes several members of the extended family," the report says. "Many people expressed anger at the inadequacy of mental health services to act on early indications of suicidality and despair at the ongoing ripple effects of such traumatic loss on families, whanau and friends." The number of suicides increased significantly this year, with the coroner revealing in July that 668 people died by suspected suicide from July 2017-June 2018. It's the fourth year in a row the number has increased, and 10 percent more than the previous year's figure of 606. Executive director of Dapaanz (Addiction Practitioners' Association Aotearoa New Zealand), Sue Paton, welcomed the Government report's focus on health and social issues faced by people affected by addiction. "With appropriate support people with addictions can recover," she said. "It's happening every day and many go onto become our most compassionate and valued citizens." She called on the Government to invest in the practitioners and services that support recovery instead of spending millions of dollars punishing drug users. "New Zealand spends an estimated $1.8 billion annually on punishing people who use illegal drugs but only around $150 million each year on treatment. This makes no sense. "Any increase in the amount spent on addiction treatment will save millions more in health, social, and justice costs, as well as in human costs." A suicide reduction target of 20 percent by 2030 is recommended in the report. It criticises the "lack of coordination and resources" in combatting suicide in New Zealand. The report also addresses the need to improve "inadequate environments" that reflect the "poor cousin" status of mental health and addiction within DHBs. "A particular concern was the state of seclusion rooms, but people also described depressing inpatient facilities that were not fit for purpose," it says. "There were particular concerns over the use of police and prison remand cells to house people with severe depression, psychosis or withdrawal symptoms. They were described as entirely inappropriate for people in distress and not places of healing." A shift of resources from DHBs to NGO providers in the community is proposed in the report, as people saw DHB-provided services as "institutional and bureaucratic, driven by rules that reflect the priorities of the organisation." The findings of the report are "not surprising", says Professor Sunny Collings, director, Suicide and Mental Health Research Group, University of Otago Wellington. "Mental health and suicide prevention in New Zealand have suffered badly from a lack of coherent leadership with the ability to influence. "This has been a major contributor to where we now find ourselves."